Our online school of the Academy of Intuition Medicine® brings our unique intuitive development courses to interested students, wherever they are. All of the Academy classes and programs, from Intuition Medicine®: Healing I through to the Master certification in Intuition Medicine® are available as recorded video programs, within a fully interactive learning website. Meet Your Teacher, Dr Francesca McCartney, PhD. Since 1976, Dr. McCartney has worked in the field of intuition as a medical intuitive in an integrative health clinic, a spiritual counselor, author and educator. In 1984, Francesca McCartney founded the Academy of Intuition Medicine® in Mill Valley, California USA. Francesca synthesizes her decades of study in Eastern and Western spiritual and healing arts into an inclusive approach which respects both the inherent uniqueness of the individual and the commonalities that bind us all together. From her spiritual counseling and medical intuitive work with thousands of clients Francesca developed the Intuition Medicine® curriculum. Dr. McCartney is the inaugural recipient of a dual PhD in Intuition Medicine and Energy Medicine. Dr. McCartney is the author of several books. Body of Health: The New Science of Intuition Medicine® for Energy & Balance presents a bridge between traditional scientific thought and exciting research in energetic healing modalities, addressing the important connections between mind, body, spirit, and healing. Intuition Medicine: The Science of Energy contains information for serious students of energy medicine, outlining a practical application of ancient wisdom, in order to learn the application of intuition in every day life. Additionally, an audio series compiled from hours of teachings and guided meditations is also available. 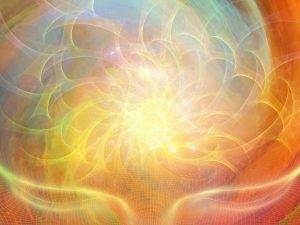 Founded in 1984, the Academy of Intuition Medicine® offers a Vocational Certification program in the career science of Medical Intuition and the art of practicing as a Spiritual Coach or Intuition Medicine® practitioner. The School is a private postsecondary education institution whose central mission is the development, cultivation and enrichment of the human mind and spirit. The Academy of Intuition Medicine® is dedicated to vocational education instruction. The Academy has developed a curriculum that introduces and builds familiarity working with different energetic frequencies and systems, before progressing into deeper study and practice. Throughout the courses, students are supported by graduate Teaching Assistants, and assigned readings authored by acknowledged leaders in energetic and intuitive research. The Intuition Medicine® Program is an intensive course of study in the science and practice of Intuition Medicine®. Our purpose is to fill the need for a quality program which educates students to be fluent in the art and science of Holistic Health and Energy Medicine. Our professors are among the most highly qualified instructors in their respective area of expertise, teaching all of the Academy of Intuition Medicine® classes and programs - from Intuition Medicine®: Healing I through the Master certification in Intuition Medicine®. Many students are interested in pursuing professional careers as medical intuitives, intuitive coaches, spiritual coaches, or integrating advanced intuitive skills into their existing careers. Students taking courses for their personal growth and healing often report great improvement in their creativity, relationships, careers, and other aspects of their lives. Studying a curriculum in a class of like-minded students, you will be presented with a series of recorded video classes, lesson materials, supplementary materials and practice work. Online students get a sense of the Academy classroom experience, join live chat room discussions with other students, receive remote energy healing sessions from Academy faculty, and more. Take one course or a series, studying at your own pace on your own schedule. Upon satisfactory completion of all course requirements a credit transcript and an Intuition Medicine® certificate will be awarded. View our classes or read our FAQs for answers to commonly asked questions.